O.B. Nelson Skateboard Park - Fairfield, Iowa - Tune into our Vibe! Thanks to the generous donation of a private donor, OB Nelson Park is the home to a 4,000 square foot modern skateable landscape. 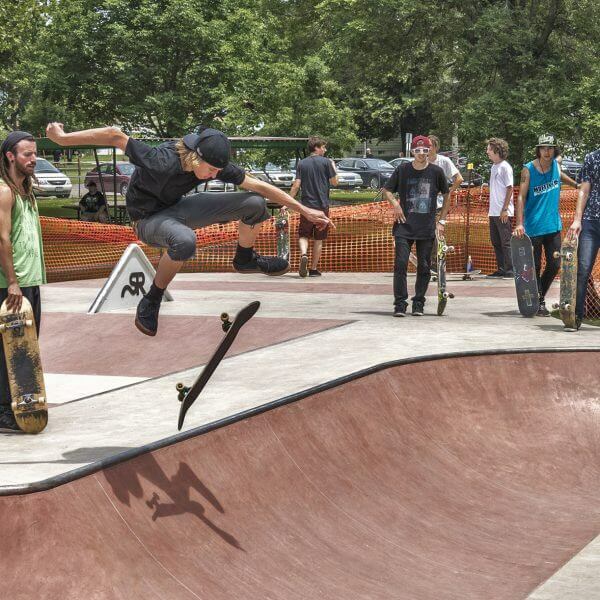 The skatepark design was created in collaboration with the local skateboarders of Fairfield who requested a facility that was balanced with both street and transition-style terrain. The final landscape features a multi-level bowl with a waterfall, tombstone extension and multiple hips, as well as a street section with ledges, rails and a curved manual pad.